Holt Hickman is the founder of Hickman Companies and serves as the Chief Executive Officer and Chairman of the Board. Holt graduated from Southern Methodist University and went on to serve as an Officer in the United States Air Force. Afterwards, he launched his business career when he joined his father in business at Fort Worth Battery and Automotive. Holt successfully built the company into the world’s largest retailer of automotive air conditioning units and eventually expanded his endeavors to include commercial real estate and development, farming/ranching, entertainment, oil and gas, and other business ventures. He is a philanthropist as well, dedicating time and resources to the preservation of the Stockyards Historic District in Fort Worth. 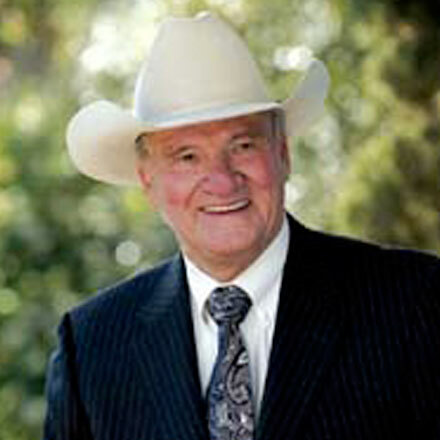 Holt was named Outstanding Business Executive by the Board of Directors of the Fort Worth Business Hall of Fame in 2000 and was presented with the Golden Deeds Award in 2006. He serves on the Board of Directors or Executive Committees of several notable companies as well as not-for-profit foundations. Holt obviously brings extensive experience, networks, and notoriety to anything upon which he focuses his efforts.